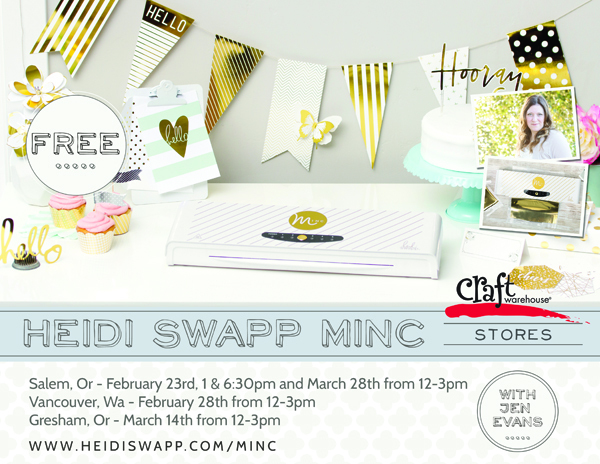 Join me at Craft Warehouse stores in February and March to see how the Heidi Swapp Minc Foil Applicator works! You will love to see how easy it really is to use! To get a sneak peek at how you can use the Minc for scrapbooking, card making, DIY, home decor, and party decor watch this introduction video below from Heidi! Create Well: Learn. Be inspired. Make pretty stuff.